Authorities are investigating a double shooting in Lowell, Massachusetts that left a man dead. The Middlesex district attorney's office said the shooting happened around 4:30 a.m. on O'Connell and Fay streets. 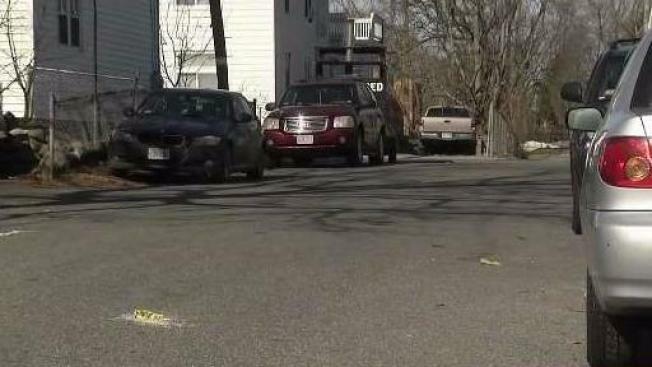 More than a year after a deadly shooting in Lowell, Massachusetts, a suspect has been arrested. The Middlesex County District Attorney's Office announced Wednesday that 22-year-old Joseph McGillicuddy of Lowell had been charged with murder in the shooting that left 24-year-old Anthony Luna of Lowell dead. The shooting happened around 4:30 a.m. on Feb. 17, 2018, at the intersection of O'Connell Street and Fay Street. Prosecutors said Christian Tripp-Kirwin and Joseph Luna, both 21, of Lowell and known to the victim, faced firearms charges after the shooting but authorities continued investigating the shooting. On March 7, McGillicuddy was indicted by a grand jury. State police assigned to the DA's office arrested him Wednesday in Tewksbury. He is expected to be arraigned on the murder charge Thursday.